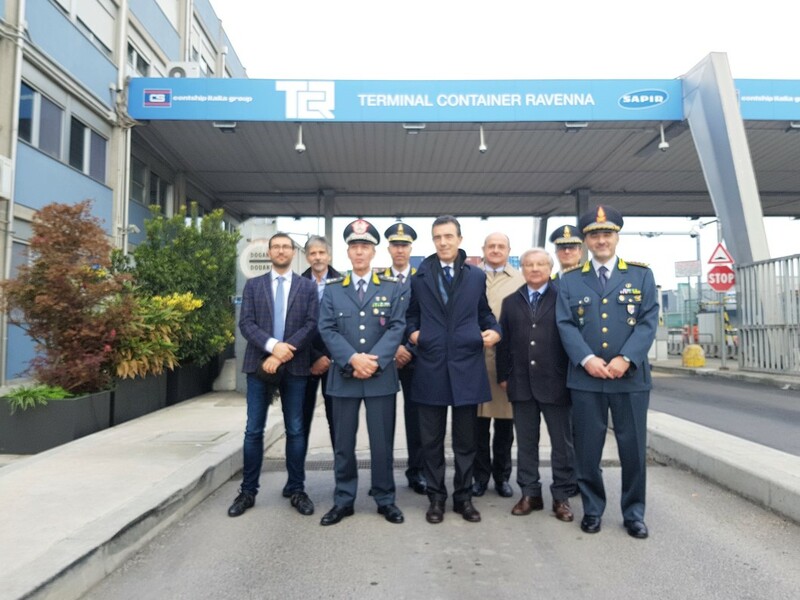 Visits took place on Thursday, November 15th, at the Ravenna Container Terminal, participated by Contship Italia Group and Sapir S.p.A.
General Giuseppe Gerli, Emilia Romagna’s Guardia di Finanza Regional Commander, visited T.C.R. S.p.A. during a visit at the Ravenna port. During the visit, General G. Gerli visioned the new cargo control system implemented at the terminal gate to control cargo entering and exiting the premises. The system was implemented thank to cooperation with Guardia di Finanza, Customs and terminal operators. The new control system allows remote control of entrance and exit of container trucks guaranteeing extra efficiency and security. General Gerli also visited the new Guardia di Finanza offices which are currently placed at the terminal entrance, where access controls take place. 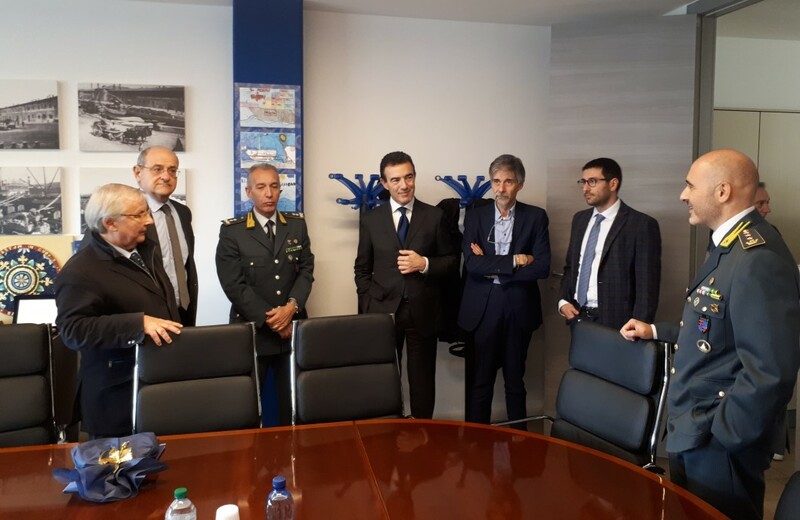 General G. Gerli, accompanied by Colonel Andrea Fiducia, Provincial Commander of the Guardia di Finanza were greeted by Port Authority President Daniele Rossi, General Port Authority Secretary Paolo Ferrandino, Sapir President Riccardo Sabadini, Ravenna Customs Director Giovanni Mario Ferente and T.C.R. President Giannantonio Mingozzi.